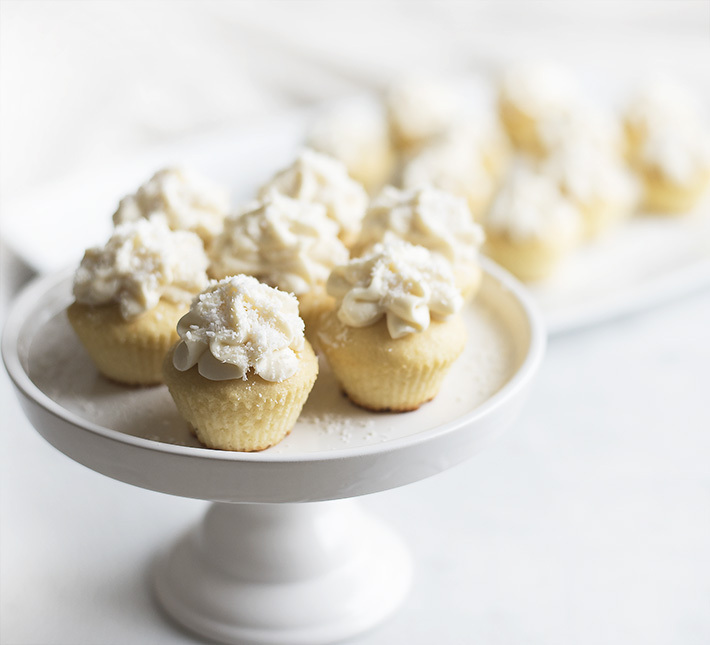 Don’t let these small cupcakes fool you – they are packed with sweet flavors of vanilla and coconut while still being free of sugar! 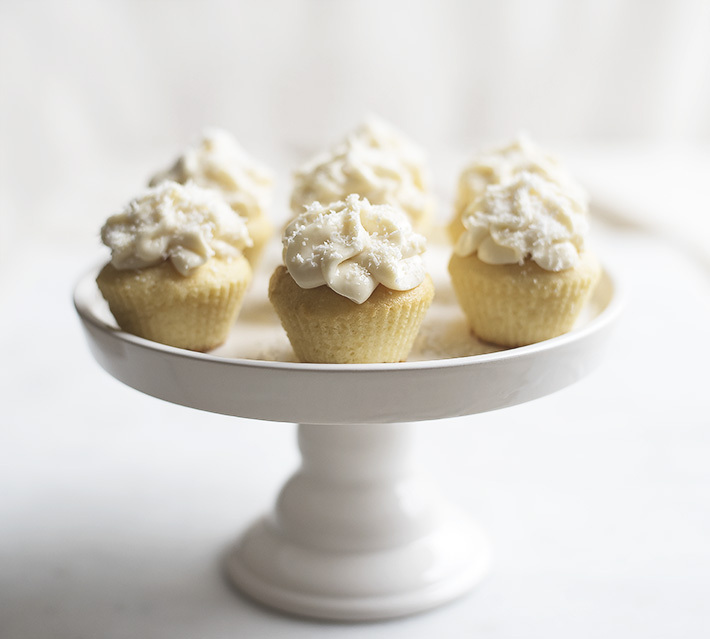 The icing is also a perfectly smooth and tasty topping to these light cupcakes. 1. 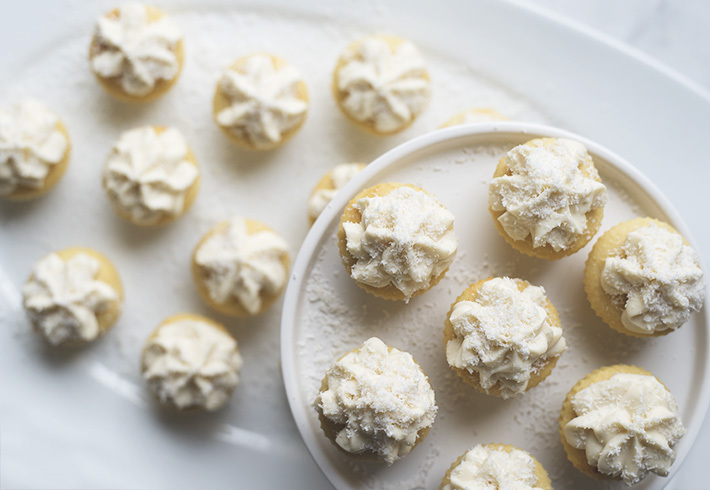 Preheat oven to 350 degrees F. Place 20 mini silicone cupcake liners on a sheet pan and set aside. 2. In a mixing bowl, whisk together eggs, milk, and coconut oil. Stir in remainder of cupcake ingredients until well combined. 3. Evenly distribute batter into cupcake liners, filling each about 2/3 full. Bake in the oven for 10-14 minutes. Remove from oven and let cool. 4. 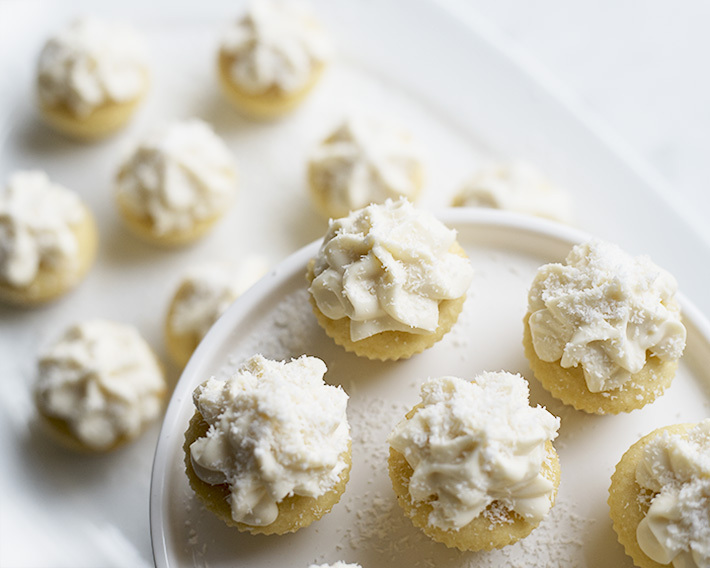 To make the icing, softened the cream cheese and whisk in the coconut milk, xylitol, and ¾ scoop protein powder. 5. 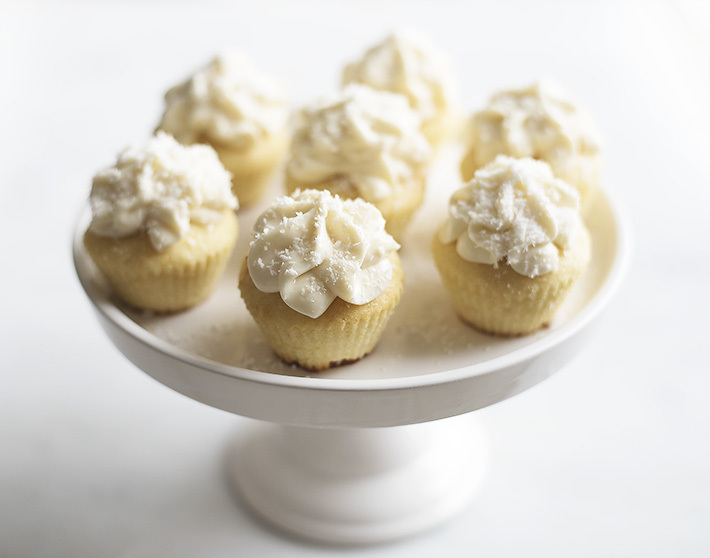 Evenly spread icing on top of each cupcake and sprinkle with coconut flakes (if desired). Enjoy!